Former top Netanyahu adviser says Saudi Arabia willing to abandon PA in order to seal a deal with Israel against Iran. 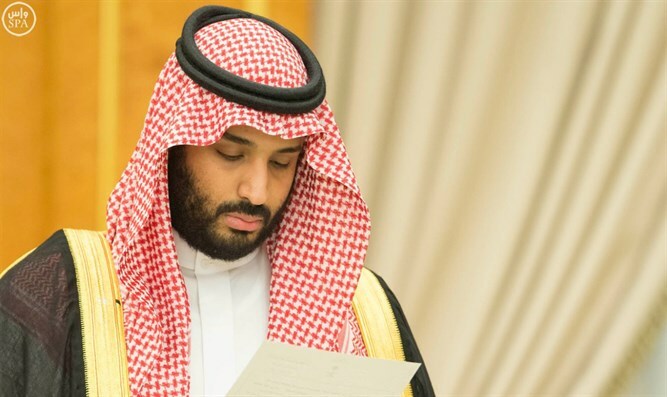 A bombshell report suggests that Saudi Arabia will buck its commonly held belief that relations between Israel and the Palestinian Authority (PA) are key towards establishing relations with Israel and are ready to sign a deal with the Jewish state, even if the PA opposes it. Prime Minister Netanyahu’s former national security advisor Yaakov Nagel told the Telegraph that Saudi Arabia is so desperate to ink an agreement with Israel that it is prepared to move forward despite lack of a Palestinian state. Saudi Arabia’s traditional position forbids negotiations with Israel until a two-state solution is implemented. Israel has long been rumored to be holding covert ties with Saudi Arabia and Israeli Ambassador to the United Nations Danny Danon said last week that Israel enjoys warm relations with many Arab countries despite the fact that these countries officially refuse to recognize Israel’s existence.